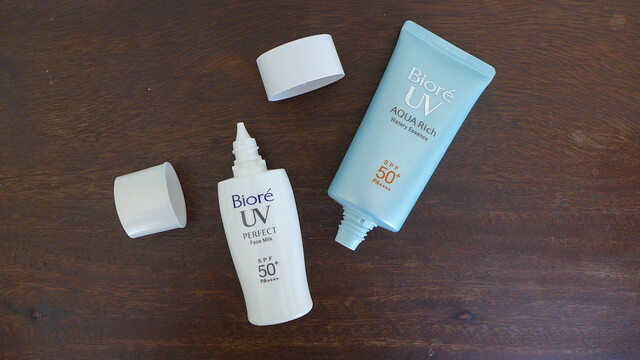 Prior to receiving a couple of Biore UV products about a week ago from Vibelle Distribution, Inc., I’ve already heard a lot of positive comments about the brand. 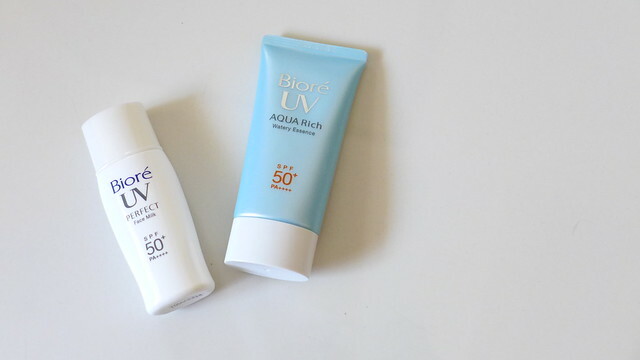 It’s supposedly the number one sunscreen brand in Japan (according to Intage SRI Research), and knowing how strict I am when it comes to sun protection, I really looked forward to trying their products. Last Saturday was the perfect opportunity because I went on a day trip to Subic with the Cupcake. 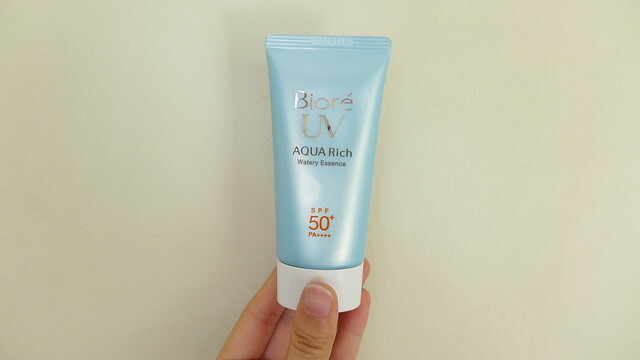 I used the Biore UV Perfect Face Milk with SPF 50 on my face, and the Biore UV Aqua Rich Watery Essence for the rest of my body. The first thing I noticed was how lovely it smelled. 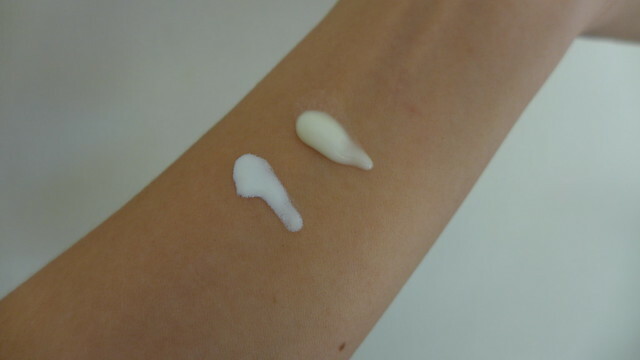 Both the fragrance and the consistency are similar to Sun Play’s sunblock, which is another sunscreen brand from Japan. The consistency is very light and blends easily on the skin, making it very comfortable to wear. It doesn’t feel sticky, greasy or heavy—something that’s a little hard to find in most sunblock brands. 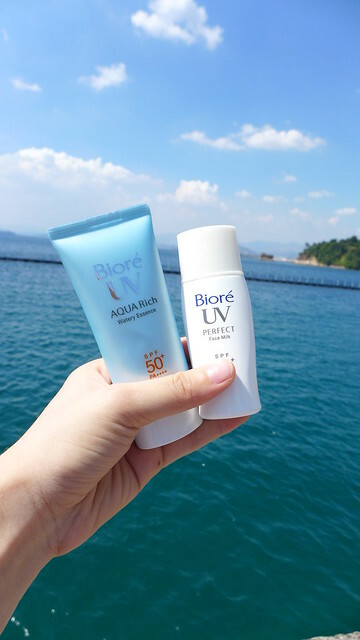 The technology behind the production of the sunblock makes it sweat-proof and allows it to work as a makeup base. There are two series to choose from: Aqua Rich and Perfect Series. 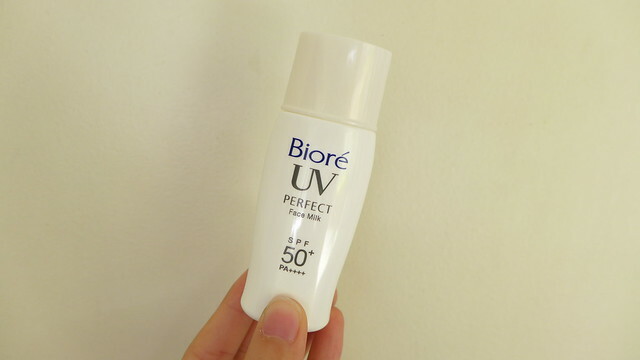 With Biore UV’s sunblock made comfortable and easy to wear, there’s no more excuse to leave home without wearing it! I can’t wait to bring both products to the beach next weekend. Skin darkening and aging are two things I don’t have to worry about, because I know my skin will look great and be protected.